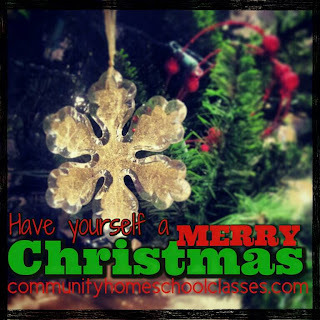 Community Homeschool Classes: An early Christmas present for Community! An early Christmas present for Community! Community tutors have already been hard at work behind the scenes to prepare for the 2014-2015 school year and now we have some big news that we are excited to share! For the past 2 years, The Refuge Church has graciously hosted us and been extremely supportive of Community. We could not have asked for a better home base! However, as Community has grown, we have quickly outgrown their facility and began searching for a new home earlier this year. As our current families are aware, our search is over as we have been blessed with an incredible opportunity! We are pleased to announce that Community's new home will be a beautiful, state-of-the-art facility on the campus of Highland Church, just a few miles south of The Refuge on Houston Levy. This facility will afford us the opportunity to offer more classes to the homeschool community as well as Community related activities in the years to come. We are grateful to Highland for their confidence in us and confident that this is the best choice as we move forward. We will begin classes at our new home at Highland Church on January 6th. We know the students and families will love this facility as much as we do and look forward to classes as well as future events at Highland, including our upcoming Open House and Registration days. The future is bright and we are looking forward to 2014. Thank you so much to Highland Church for welcoming our Community! Merry Christmas and a fabulous New Year to the Memphis area homeschool community! © Heather Jones 2012-2017. Simple theme. Theme images by gaffera. Powered by Blogger.